Any All-In-One Dario Blood Glucose Monitor (the “Dario Meter”) purchased directly from the Dario e-store website (http://shop.mydario.net.au) may be returned within thirty (30) days of the original purchase date, provided that you meet all the conditions set forth below. 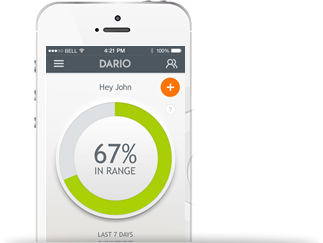 A free Dario Meter, including one offered during one of our online sales campaigns, cannot be returned and is not refundable. In order to start the return and refund process, please contact the Dario Customer Care Team via our Support page at https://mydario.net.au/support/getting-started from Monday-Friday, 9AM-5PM AEST to request a Return Material Authorization number (“RMA”). Once we receive your package and verify compliance with all conditions above, DarioHealth Corp. shall refund the purchase price paid, minus shipping and handling charges (AU$8.00 per unit), gift wrap fees, and taxes paid (including state taxes, customs fees, and VAT, via your original method of payment. The time to credit your account may vary, depending on processing time. DarioHealth Corp. retains the right to either refuse delivery or charge you a restocking fee for any product returned in a manner inconsistent with this policy, plus a fee of AU$24.00 to cover shipping and handling costs. If your Dario Meter or Dario Supplies (collectively “Dario Products”) are not working properly due to a defect in materials or workmanship that appears within the first twelve months from the date of original purchase, DarioHealth Corp., in its discretion, may replace your defective Dario Product or provide a refund, subject to the terms and conditions of your warranty. For additional information please refer to the warranty in your User Guide. Please contact the Dario Customer Care Team via our Support page at https://mydario.net.au/support/getting-started from Monday-Friday, 9AM-5PM AEST, to report a problem with your Dario Product. For business carried on in Australia, the clause above is subject to the Australian Consumer Law. Notwithstanding the clause above, the Australian Consumer Law does not permit the exclusion, modification or restriction of consumer guarantees in Division 1 (Consumer guarantees) of Part 3.2 (Consumer transactions) of Chapter 3 (Specific protections) of Schedule 2 (The Australian Consumer Law) of the Competition and Consumer Act 2010 (Cth). These consumer guarantees include (a) that goods are of acceptable quality, (b) that goods are fit for any disclosed purpose, (c) that goods correspond to the description given, (d) that services are rendered with due care and skill, (e) that services are fit for a particular purpose for which the customer is acquiring the services. Orders placed online through http://shop.mydario.net.au can be cancelled and refunded within twenty-four (24) hours after the initial order is placed by contacting the Dario Customer Care Team via our Support page at https://mydario.net.au/support/getting-started Monday-Friday, 9AM-5PM AEST. If an online order is placed on a weekend or public holiday, the cancellation request must be made by the end of the following business day. Subscription plans may be cancelled at any time prior to the next order renewal fulfillment and payment. Once the order renewal on your subscription plan has been processed, however, it cannot be cancelled or returned for a refund for that period. To cancel your subscription plan, please log into your Dario Store account or contact the Dario Customer Care Team via our Support page at https://mydario.net.au/support/getting-started from Monday-Friday, 9AM-5PM AEST. Membership plans may be cancelled at any time prior to the next renewal and payment. To cancel your membership plan, please log into your Dario Store account or contact the Dario Customer Care Team via our Support page at https://mydario.net.au/support/getting-started from Monday to Friday, 9AM-5PM AEST.